Hydroplaning (or Aquaplaning) is one of the most terrifying experiences a driver can encounter; akin to losing your brakes or having a tire blowout on the highway. Our ever-increasing network of highways, coupled with perpetually wet local weather means that it is all too likely that we might encounter the dangers of hydroplaning at some point of our lives. In spite of that, many of us are oblivious to this phenomenon, or may not fully appreciate how dangerous it can be. In light of this, here is a guide on what causes hydroplaning, and preventive measures to protect and safeguard yourselves to avoid mishaps. Hydroplaning occurs when your tyres begin to ride on top of standing water instead of the surface of the road. Contrary to most drivers’ beliefs, hydroplaning can happen even when the roads are only slightly damp, which may actually be a bigger potential threat as we have a tendency to overlook wet roads when it’s not raining. Because one or more of the tyres are not touching the road, steering and braking is rendered ineffective. 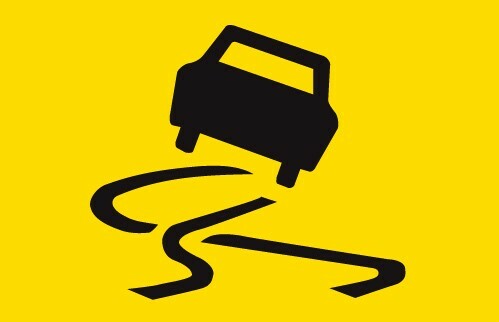 Depending on the type of vehicle, the car can slide or even skid sideways, often resulting in uncontrolled high speed crashes. Our vehicles depend on a certain degree of friction between the tyres and the road surface. Water, as nature's lubricant, can very easily defeat friction. The more water your tyres come in contact with, the greater the chance of hydroplaning. Puddles of water are the most obvious culprits, but hydroplaning is likely even without standing water — sometimes even a thin film of water is enough. The math is simple here: The higher the speed, the greater the risk of hydroplaning when you encounter water. Driving fast creates a higher rate of tyre rotation, which means your tyres have less time to effectively channel the water in its tread pattern to maintain tyre contact with the road. Tyres have grooves that feed into each other and are designed to act as channels to scatter water. The older a tyre gets, the shallower the grooves become, the less effective they will be in dispersing water on the road. At the first signs of rain, slow your speed considerably. When light rain mixes with oil residue on the road surface, it creates slippery conditions that can cause vehicles, especially those traveling north of 60km/h, to hydroplane. Sudden increases in speed, such as those required to overtake, put you at a greater risk too. Make sure all your vehicle movements (including braking) are gradual and careful in wet weather, and increase your distance with the car in front of you. The only way to stop wheels from spinning and maintain control is to immediately reduce power. An activated cruise control system applies continuous power, keeping the wheels spinning. By the time you disengage the cruise control it may be too late — you may have already lost control. Try to avoid any place on the road with obvious puddles, such as outer lanes where water tends to accumulate. It only takes a small film of water to cause hydroplaning, so it is highly probable that your vehicle will hydroplane as it drives over standing water. Keep a watchful eye on tyre pressure, its tread depth, and replace your tyres regularly. It is advisable to have your vehicle’s tyres rotated and balanced every other time you have your oil changed. Bear in mind that not all tyres are created equal — choose the tyres that best suit your driving conditions. The last but equally vital way to prevent any road mishap is driver alertness. A focused driver can identify puddles from a fair distance and take actions to avoid them. Sometimes, all it takes is a momentary lapse of concentration at an unfortunate time for hydroplaning to occur. Read here for some techniques to recover and regain control of your vehicle if you hydroplane.